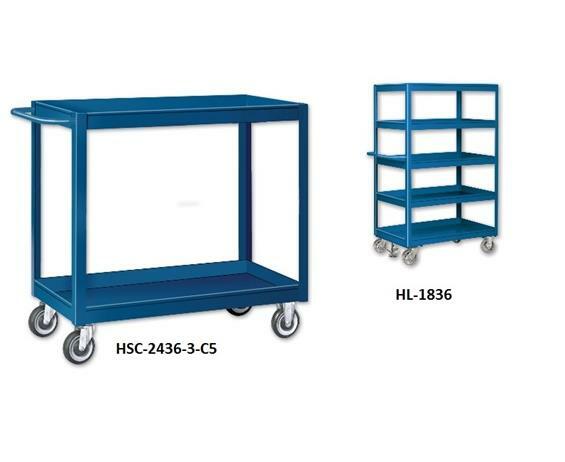 HSC Series Heavy Duty Shop Carts | David's Inc.
1,000 lb. capacity evenly distributed. Optional drawers, floor lock, and wheel brakes available. Designed for rugged use, yet attractive enough for front office work. 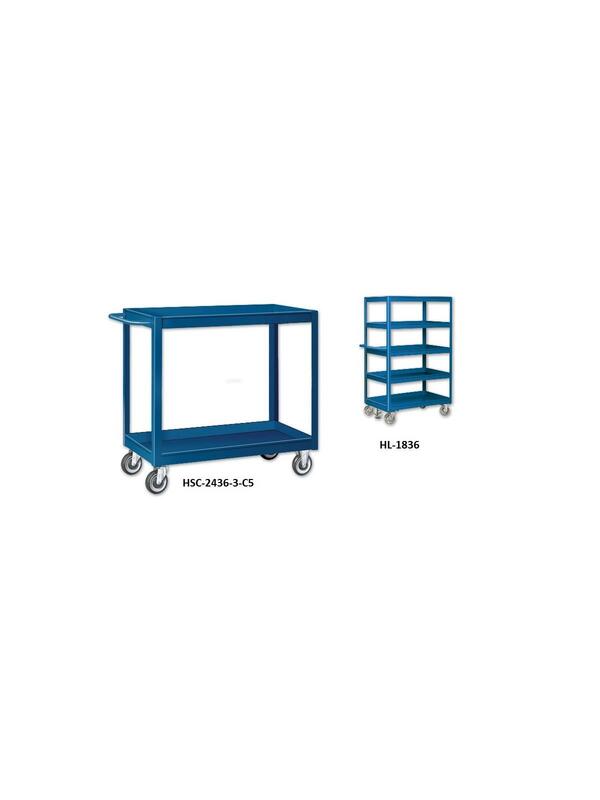 Features 16 gauge trays, each 2"D. Optional flat bottom shelf, bench drawers, floor lock, and wheel brakes. Equipped with 2 rigid, 2 swivel 5" x 1-1/4 " polyurethane casters. FOB Shipping Point.